Halifax (officially “Halifax Regional Municipality”) was formed 01 April 1996 by the amalgamation of Halifax, Dartmouth, Bedford, and Halifax County [Wikipedia]. (Artz). Incorporated 29 April 1863 by William O'Brien. 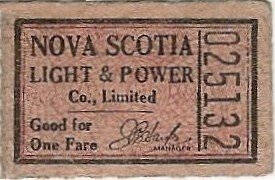 A ticket illustrated in Stephens reads Halifax City Rail Road Co. Replaced in part the service of the defunct rail road. Company acquired by the HSRCo in 1886 to eliminate competition (Brown). Incorporated 10 June 1914 (Artz). Electric power utility. Introduced electric trolleybuses and discontinued electric streetcars 1949. ETBs ended with NSL&P 1969. Last services 31 December 1969 ran into the early hours of 01 January 1970. (CYB 1934-35, CYB 1939, TBB, Canadian Coach 1969, Photos newdavesrailpix, Peter Cox, W.R. Linley [Peter Cox coll.]). Municipal operation. All motor bus operation. Expanded service area resulted in displacing Acadian Lines suburban services in 1970, 1972, and 1979. ( Canadian Coach 1969, Dawes et al. 1972, Transit Canada 1975, CUTA 1976-77). System rebranding from Metro Transit. Probably known publically as Pender's Bus Service. Began operating bus service in the very early 1920's between Halifax and Bedford (Gillis p. 9). Received a Public Utilities Board certificate 13 July 1923 to operated four buses in scheduled service between Bedford and Sackville (Gillis p. 139). 1927 certificates for Halifax to Bedford and Sackville, and Halifax to the Ashburn Golf Club (Gillis pp. 140, 141). Incorporated 1933 as CAP, Ltd.
P.U.B. 1923 certificate to operate scheduled bus service between Bedford and Sackville, 4 buses (Gillis p. 139). Certificate renewed 1927 (Gillis p. 140). Does not appear on the 1930 list. P.U.B. 1923 certificate to operate 1 bus in scheduled service between Halifax and French Village (Gillis p. 139). Certificate renewed 1927 (Gillis p. 140). Does not appear on the 1930 list. P.U.B. 1923 certificate to operate scheduled bus service from Armdale to Memorial Tower, Jollimore Village, 1 bus (Gillis p. 139). P.U.B. 1927 certificate to operate from Head of North West Arm to Flemming Park (Gillis p. 140). Does not appear on 1930 list. 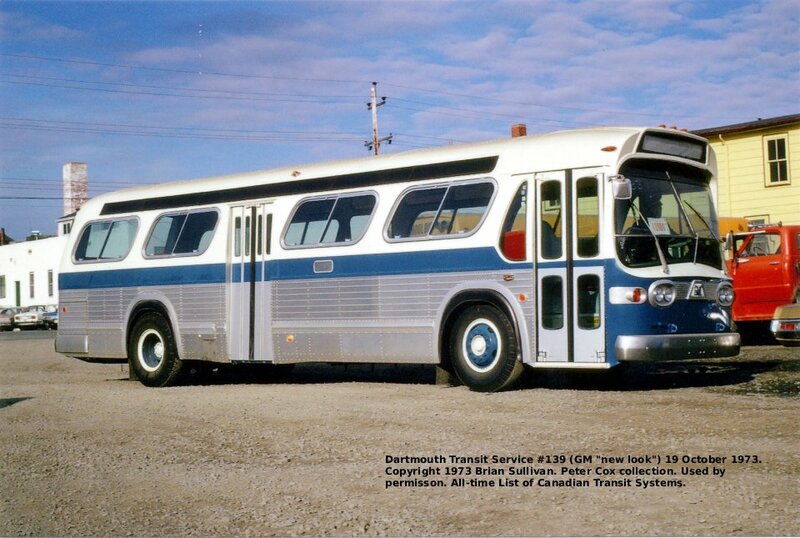 Suburban service established and owned by the NST&PCo ( Canadian Coach 1970). P.U.B. 1923 certificate to operate 2 buses on Gottingen and Duffus Streets (Gillis p. 139). Certificate renewed 1927 (Gillis p. 140). Does not appear on 1930 list. P.U.B. 1927 certificate to operate scheduled bus service between Halifax and Bedford (Gillis p. 140). Does not appear on the 1930 list. P.U.B. 1927 certificate to operate scheduled bus service from Halifax to Hackett's Cove (Gillis p. 140). Does not appear on 1930 list. P.U.B. 1927 certificate to operate scheduled bus service from French Village to Hackett's Cove (Gillis p. 140). Does not appear on 1930 list. Owned by Cyril N. Pike. P.U.B. cancelled certificate to operate on Prospect Road in 1927. Does not appear on the 1923 list of certificates. Probably known publically as Pender's Bus Service. 1938 P.U.B. certificate covered schedule services Halifax - Sackville and Halifax - Johnson's Cabins via St. Margaret's Bay Road (Gillis p. 145). Added route between Sackville and Bedford 03 September 1942 (Gillis p. 38). Company purchased 1945 by United Service Corporation (Gillis p. 41). ( Canadian Coach 1970). 1938 certificate for scheduled bus service Halifax - Purcell's Cove and Halifax - Herring Cove via Spryfield (Gillis p. 145). By 1944 was operating Halifax - Herring Cove, Halifax - Purcell's Cove, and Halifax - Shad Bay when company was bought by United Service Corporation (Gillis p. 39). Operations amalgamated with Pender as Fleetlines. ( Canadian Coach 1970, photo: Maurice E. Burns collection). Suburban contract operator for NSL&PCo. Affiliate of United Service Corporation. 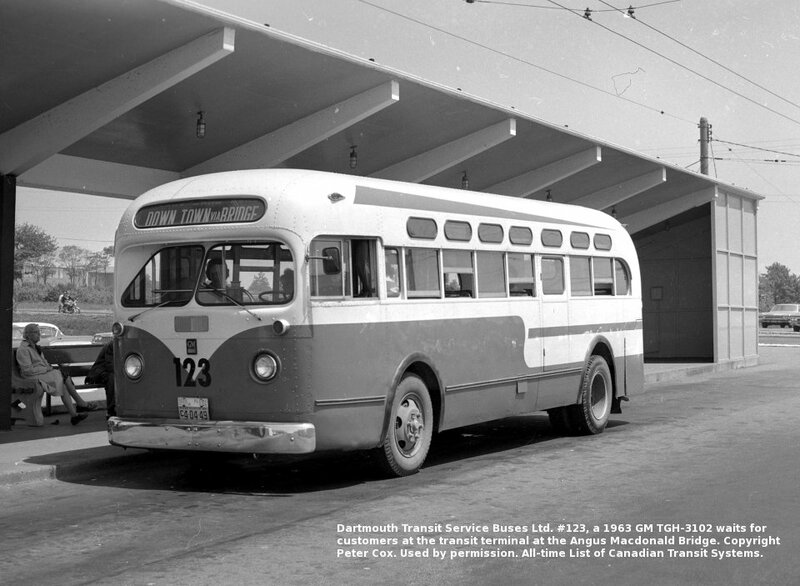 Buses drawn from Acadian Coach Lines and Pender Bus Service used on the two routes (Leger & Lawrence). ( Canadian Coach 1970). Subsidiary of United Service Corporation, parent company of Acadian Lines and formed from an amalgamation of Pender and Ocean View. Suburban services from Halifax to Sackville (Oland's Corner) via Kempt Road, Rockingham via Arm Bridge, Johnson's Cabins on the St. Margaret's Bay Road via Arm Bridge, Purcell's Cove via Melville Cove and Jollimore Village, Shad Bay via Arm Bridge and Goodwood School on the Prospect Road, Spryfield, and Herring Cove via Spryfield (Gillis p. 147). Abandoned Halifax - Johnson's Cabins and Bedford - Waverley 1954 (Gillis p 157). 1954 routes were Halifax - Sackville, Halifax - Herring Cove, Halifax - Fairview, and Halifax - Purcell's Cove (Gillis p. 153).. Bus operations of United Service consolidated as Acadian Lines in 1955 (Gillis p. 65). (Leger & Lawrence, Canadian Coach 1970). P.U.B. 1954 certificate to operate scheduled bus service between Halifax and White's Lake, Halifax County [Shad Bay] [23km] (Gillis p. 156) Certificate cancelled 1955 (Gillis p. 159). Does not appear on the 1946 list. Province-wide intercity bus line with suburban routes at Halifax and Sydney. 1955 P.U.B. 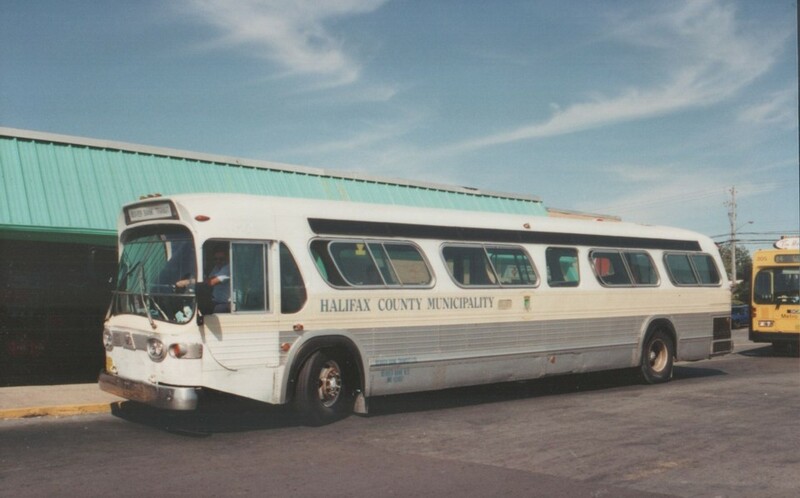 licence included the following Halifax suburban services: Halifax - Sackville (Junction of Lucasville Road); Halifax - Herring Cove via Armdale, Spryfield and Herring Cove Road; Halifax - Fairview via Armdale and Dutch Village Road; and Halifax - Purcell's Cove via Armdale and Purcell's Cove Road (Gillis p. 158). Expansion of the HTC service area (see above) in 1970 resulted in abandonment of routes Halifax - Fairview, Halifax - Purcell's Cove, and Halifax - Leiblen Park (Gillis p. 75). In 1972 Acadian applied to abandon Halifax - Herring Cove due to HTC competition (Gillis p. 76). The final Halifax-area suburban service, Halifax - Bedford - Sackville, was abandoned to HTC 1979 (Gillis p. 77). ( Canadian Coach 1970, Leger & Lawrence). Bus service between Sackville and Beaver Bank. Halifax council minutes from 1996 suggest Metro Transit moving to assume BBT service. (photo David Slater/flickr). Demand-responsive transit service for Jeddore, Musquodoboit Harbour and Porters Lake areas. Trips must be booked 24 hours in advance. Using the service requires an annual membership. (website 2013). Pilot project to extend demand-responsive transit service to East Ship Harbour, Ecum Secum, and the Musquodoboit Valley. Sister organization of the MusGo Rider Cooperative listed above. The June 27, 1937 and November 26 1944 Canadian National Railways time tables include a pair of commuter-scheduled weekday/Saturday trains operating between Halifax and Waverley (28.6 km/17.9 mi., 50-60 min.). In 1937 the service arrived at Halifax at 6:45am with departed at 4:30pm. In 1944 arrival at Halifax was 7:35am and departure was 6:20pm. By the Winter 1956/57 time tables trains operated daily except Sunday between Elmsdale and Halifax (51.4 km/32.1 mi., 80 min.). Commuters arrived at Halifax at 7:35am and departed at 5:30pm. By the Winter of 1966/67 service was extended to Truro (102.4 km/64.0 mi., 75-100 min.) 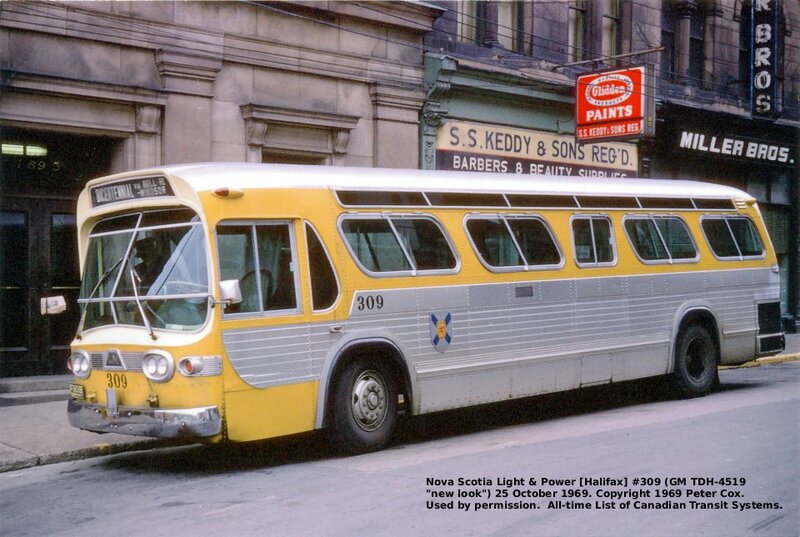 and offered commuters an arrival in Halifax at 8:00am and departure at 5:15pm (CN Winter 1966/67 time tables). These services meet a basic definition of a commuter train (weekdaily, rush-hour scheduling and run time under about 90 minutes). Halifax - Glen Margaret (70-85 min. ), arrive Halifax 7:45 AM, return departs 5:30 PM (supplemented by two additional daily trips). One of the early operators of ferry service between Halifax and Dartmouth. Incorporated 24 April 1885 (NS). Ferry service between Halifax and Dartmouth. Last separate operator of the longstanding ferry service between Dartmouth and Halifax (established 1752). Acquired 1890 the operations and assets of the H&DSFCo. Ferry service taken over by Metro Transit 1994. From the early 1920's was operating in Dartmouth area (Gillis p. 9). Received Public Utilities board certificate #1 01 June 1923 covering two buses and operations between Dartmouth & Imperoyal, and Dartmouth & Eastern Passage (Gillis pp 10, 139). Incorporated before 1927 certificates were issued as L.M. Bell, Limited. 24 July 1923 P.U.B. certificate for scheduled bus service between Dartmouth and Imperoyal, 2 buses (Gillis p. 139). Certificate renewed 1927 (Gillis p. 140). Does not appear on the 1930 certificate list. 1927 P.U.B. certificate for Dartmouth - Imperoyal bus service (Gillis p. 140). Certificate renewed 1930 (Gillis p. 142). Name changed to BB Ltd. before 1938 certificates issued. 1938 P.U.B. certificate for scheduled bus service between Dartmouth and Waverley [18 km] (Gillis p. 145). Does not appear on the 1946 list. 1938 P.U.B. certificate for scheduled bus service between Dartmouth and Montague [Gold] Mines (Gillis p. 146). Does not appear on the 1946 list. 1938 P.U.B. certificate for scheduled bus service between Dartmouth and Imperoyal (Gillis p. 145). Certificate renewed 1946 covering Dartmouth Ferry to Quigley's Corner, and Dartmouth Ferry to Port Wallis (Gillis p. 147). Succeeded by DTSBL. Municipal operation (RS). Suceeded by Metro Transit. 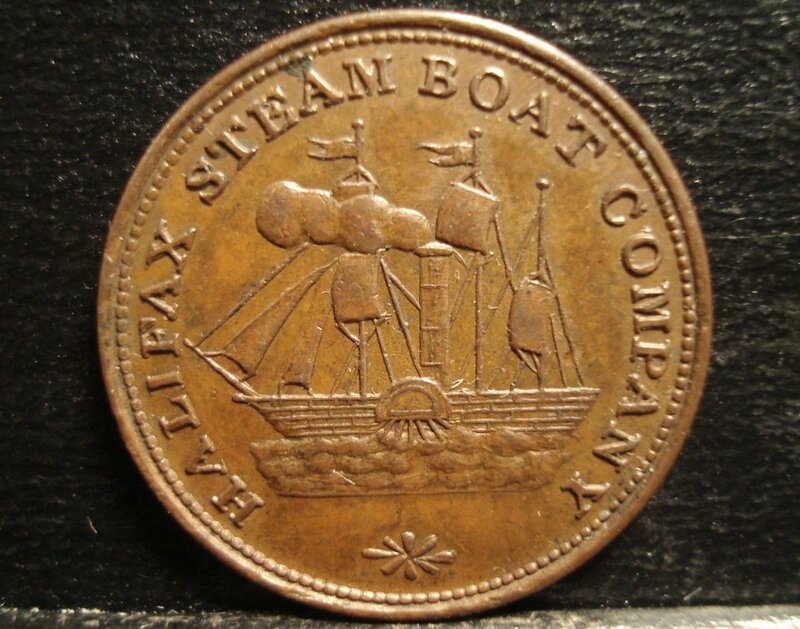 Nova Scotia statutes include two other Halifax omnibus companies: Halifax Omnibus, Express, and Conveyance Company incorporated 07 May 1867 (NS) and Halifax Street Carette Company, Limited incorporated 19 May 1891 (NS). It has not been established if either of these companies operated public transit services. Brown, Robert R., Halifax: Birney Stronghold , Canadian Railroad Historical Society, revised edition 1966. Artz - Unpublished data and records from Dan Artz. Provided by Ray F. Corley of Scarborough, Ontario, 1996. Cunningham, Don, and Don Artz, The Halifax Street Railway: 1866-1949 , Nimbus Publishing Limited, Halifax (Nova Scotia), 2009. Gillis, Robert A., Scheduled Motorcoach Service in Nova Scotia 1922-1990: A Study of the Effects of Government Regulation on the Industry , MA thesis, St. Mary's University, 1992. Leger, Paul A., and Loring M. Lawrence. 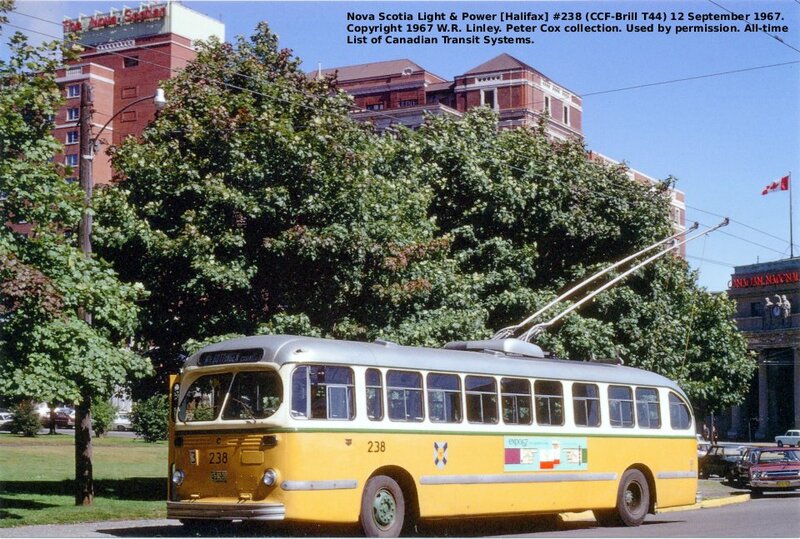 Halifax - City of Trolleycoaches , published as the December 1994 issue (Vol. 15, No. 62) of Bus Industry , Bus History Association, Windsor (Ontario), 1994. Lownds, Russ. Trams & Tracks: ”The Birneys“ of Halifax, Nova Scotia , R. Lownds, Halifax (Nova Scotia), 1990. “Nova Scotia Light and Power Co.'s Halifax Tramway System,” Canadian Railway and Marine World , February 1933, pp. 70-72.